Riding on the success of the hospitality workshop in June, Hospitality Workshop Africa is continuing in its objective of encouraging young people to pursue careers in hospitality. The event showcases vast opportunities inherent in the industry with hospitality leaders and enthusiasts in attendance. 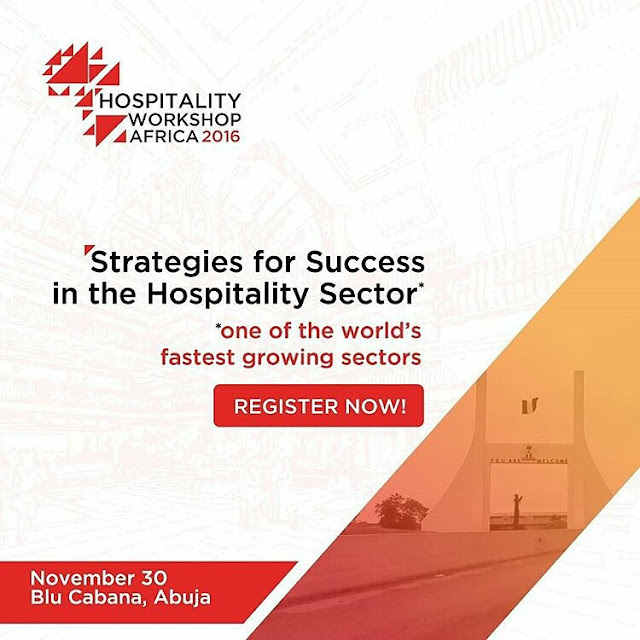 The Theme for this workshop holding on the 30th of November at the BluCabana in Abuja is: Building Sustainable Hospitality Businesses. During the masterclass sessions, attendees will gain insights on what it takes to build sustainable hospitality businesses. Following this, a panel discussion will focus on biggest challenges locally while proffering experience driven solutions. The one day event will feature leaders from leading organizations including Jovago,No Surprises Events, Food Fashion Fusion, and others. Also on the agenda are valuable networking opportunities for the attendees after which they will receive certificates of participation from Hospitality Workshop Africa. Join industry professionals to cover the latest trends & opportunities specific to hospitality businesses.